Nadeesh is currently working for Java platform Group at ORACLE. 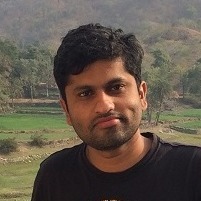 He is a JDK9 committer in Openjdk Community and currently working for enhancement of java.time api for Java 9. Prior to ORACLE, he worked in CDOT Banglaore as Research Engineer for 3 years. He completed his MTech from IITBombay in Computer Science (2012 - 14) and BTech from NITCalicut in Computer Science (2005 - 09). He is an active speaker at Bangalore Java User Group.